It's a sight and sound that's unmistakeable. 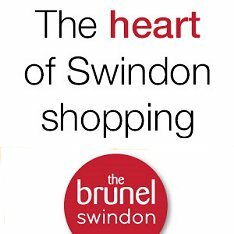 And in no small way, Swindon played its part in making the Spitfire the nation's most famous aircraft. Now 75 years still it first flew, the fighter plane's memory still lives on here through the Supermarine Sports Club that bears the name of the company that manufactured the aircraft in Swindon from 1941-44. Originally built in Southampton, production moved to a shadow Supermarine factory at South Marston after bombing destroyed their main south coast facility in 1940. There the planes were constructed and tested on the nearby runway (now the Honda test track) before being flown to bases in the UK and all over the world. In all 121 Mark 21 Spitfires were built here, with a further 50 modified Spitfires bound for naval action (which the Royal Navy called Seafires) also produced. On 7 December 1941, a Spitfire on a training mission crashed in Stratton St.Margaret killing the pilot. 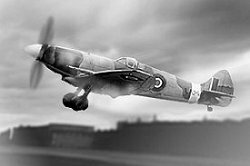 Production of later versions also continued after the war, before South Marston's last Spitfire (actually a Seafire) was completed in January 1949. In October 1945, Vickers bought the factory and airfield (it cost them £500,000) and the factory's new roles included the modification of planes which had survived the war into trainers. Very little is left of the South Marston factory that played such a key role in the war effort. Much of the site has now been developed as an industrial estate and part of the extensive Honda plant. From 1950 until the mid 70s, a Supermarine Spitfire sat at the entrance to the Vickers factory as a proud memorial to the part played by the firm in the aircraft's history. As previously mentioned, the sport's club once part of Vickers still retains the name. 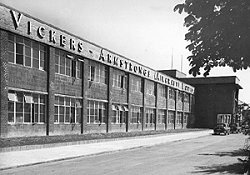 In 2002, Business Space Services arranged for a Spitfire flyover to celebrate the opening of their new serviced office facility in what was the main building of the Vickers site.